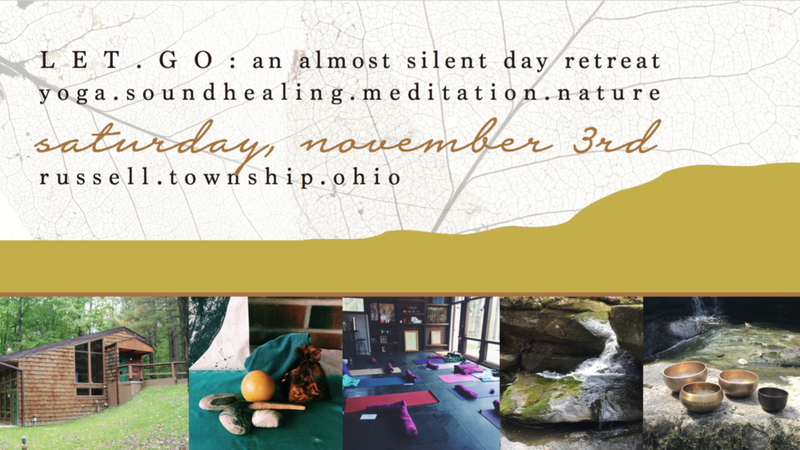 but we’re hosting a mostly silent afternoon on Friday, November 2nd. What are you carrying? You hold it so carefully, but have you unwrapped it in a while? Here, I know it must be heavy. If you'd like to set it down we can take a look, repackage what's worth keeping. You can leave the rest here, in the woods. It will get buried with snow and when the ground thaws, it will be gone. this day retreat is about . l e t t i n g . g o . Spending time with ourselves. Held space for exploration, and discovery, and quietude. For sifting through, and sorting out. We are preparing for the dormancy of winter. What is worth tending through the upcoming season of hibernation. what is worth carrying into another year.